If you were surprised by reading the title, you are one of the few unlucky souls in India who know a thing or two about its history. This has a huge disadvantage! Because most of the folklore usually draws up its historical opinions in a ready-to-eat fashion from Bollywood movies! So in a party or in coffee time, it is not unusual to hear about “Greatness of Akbar” or “Devotion/Dedication of Salim (Jahangir)” or “Eternal love of Shah-jahan and Mumtaz-Mahal”… nor is it unusual, that you are the only person in the group to know that there is very little truth in it, if at all. Through movies like Taj-Mahal, Mughal-e-Azam, Jodha-Akbar etc. Bollywood has already so much glorified the Mughals…. and only Mughals. At times I feel that the script-writers pick some ancient virtuous figures like Ram, Krishn or Arjun, drape them in Mughal clothes and sale ’em back to us as Mughal Emperors! These makeovers, howsoever exaggerated, howsoever disgusting, were still tolerable – especially keeping the glorious tradition of Indian tolerance and resilience in mind! I guess, after the success of Bajirao-Mastani, Mr. Bhansali has grown in confidence – not because the film was in any way good or sensible… it was one of the stupidest movies where I was tempted to walk out again and again; but I had to fight the urge for I was some 40,000 feet above mean sea level then, flying in a plane outbound to Mumbai from Frankfurt! The success of this movie tells me that Mr Bhansali will be assured for future that howsoever carelessly he distorts the history, he would still finds ample buyers for his stories. With Bajirao-Mastani he already started a new chapter in the history of Bollywood. In a movie – at least a historical one – normally the ‘actors’ are supposed to mold themselves to bring alive the characters; but Bhansali has instead “trimmed” the historical figures, as per the comfort levels of the stars. Ranveer can’t do a movie without doing a dance sequence? Granted! Ab Bajirao naachega…! Kashibai should get the same importance and footage as Mastani because… ultimately, you see it’s Priyanka vs Deepika! Sure, lets blow Kashibai’s character out of Proportion. Lets’ make this isosceles triangle! Deepika doesn’t want to look just ‘babe’ in the movie but should be smart and dashing too? Why not, lets’ make her move in and out of her father’s besieged fort at will. Let her only carry her father’s message to Bajirao… we will safeguard the messangers for peace-time! And yes… later she would get to neutralize 10-20 assassins single-handedly (literally)… while living under Peshwa’s protection, in Peshwa’s capital, while Peshwa is in town! Yay! But the real tragedy was, most people who disliked the movie saw it’s biggest fault in, “… depiction of Kashibai – the royal lady – dancing on a song”. This is a vital lesson for history manipulators… Serious games can be played with the historical figures, just by stirring minor controversies to throw the public off the scent! And history manipulation is a powerful political tool! Coming back to Allauddin Khilji… Bhansali has in all probability taken the beaten path of adjusting the character of Allauddin Khilji after discussing with the PR Managers of Ranveer Singh! Allauddin Khilji is such a sunken character in History, that any change in it can bring only glory to it… any further detoriation than the original is quite impossible. Whenever I used to watch Game of Thrones, watching Ramsay Bolton would always remind me of Allauddin Khilji! Bhansali’s “lover” Allauddin Khilji had actually lust for Hindu Queens … the Queen of Gujrat, Kamal Kumari was forced to be his Begum; so was the daughter of Yadava King of Devgiri in Maharashtra, Ramdevrai! But the story doesn’t end here, after forcefully marrying Kamal Kumari, the ruler later set his eyes on her own daughter Deval Devi as well – either for himself or for his son!!! (The part related to Deval Devi is a poetic creation by contemporary poet, Amir Khusro, where he shows Deval Devi and son of Allauddin Khilji as ‘eternal lovers’) Years later, the subsequent Yadav Kings of Maharashtra – Shankar rai Yadav and Harpal Yadav tried to overthrow the Khilji rule… Khilji’s general Malik Gafur killed the revolt and “to teach the lesson to the infidels” flayed Harpal Yadav and nailed his skinned body to the gates of Devgiri fort to feed the vultures!!!!! Maharashtra could not dare forget this lesson for next 300 years and did not raise his head again until Shivaji’s times! Even today in Maharashtra, the name “Allauddin Khilji” is taken synonimous for cruelity, heartlessness and treachery! But the anger against Bhansali’s movie is not merely due to redemption of Khilji. This is a two edged sword which, while achieving glorification of Khilji on one side, does character assassination of Rani Padmini… at the hands of her own people! Rani Padmini was queen of Chittor and wife of a brave Rajput King, Rana Ratan Singh! Such was the reputation of the beauty of Rani Padmini, that in her times, people had started using the word Padmini as other word for beauty in their literature(1). It would hardly surprise anyone that a fanatic and pervert like Khilji got obsessed with winning her and her kingdom. 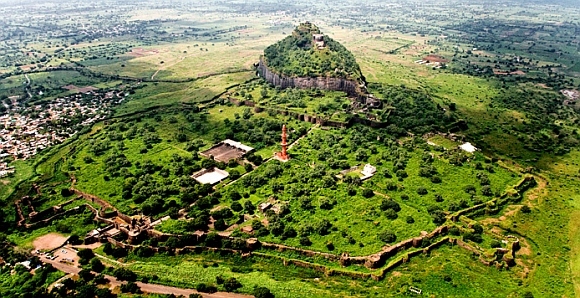 Chittor repelled attacks of Khilji for over 6 months, until one day Ratan Singh was wounded and captured by enemy. After adding queen of Gujrat and Princess of Maharashtra to his harem, Khilji wanted to lay his lustful hands on to the Rajput queen. He directly asked for Padmini to her husband. Rajputs can give them their lives easily than their honour; the wounded King outrightly refused! (Perhaps the old father of Ratan Singh, Padmini’s father in law, with limited soldiers was still holding the fort). Allauddin could not get away the thought of beautiful Padmini from his head. He offered a negotiation – if Padmini would simply appear before him, if she just lets him see what a beauty she is, her husband’s life will be spared. Even this demand was a blemish for a Rajputs’ honour, but on other side the life of King was at stake. Finally, a new solution was proposed – the invader will not get to see Padmini directly, but instead her reflection in a mirror… and this too from a good deal of distance between them. Khilji was ready for anything, he readily accepted the demand. But after seeing the divine beauty, his obsession with Padmini was fuelled. He did not bother to keep his word, instead with multiplied resolve he attacked Chittor once again. The enemy was closing in, the husband was trapped far away in the chains of enemy. Hopeless, perhaps cursing her divine beauty that put her husband and kingdom at stake, Padmini and other royal ladies decided to save their honour by giving away their lives by entering fire!!!! It is called “Jouhar”… Padmini’s was the first Jouhar of Chittor. This is first such recorded act of mass self-immolation in the History of India! They asked the last of the few guards to lock doors from outside… they lit massive fire – the eternal Hindu God that embraces and purifies everything offered – and they entered it. When Khilji broke the chambers open, he found nothing but Padmini’s ashes. The Emperor of a subcontinent was defeated by chastity of a near helpless woman. The story of Padmini became – and continues to be – inspiration for generations! 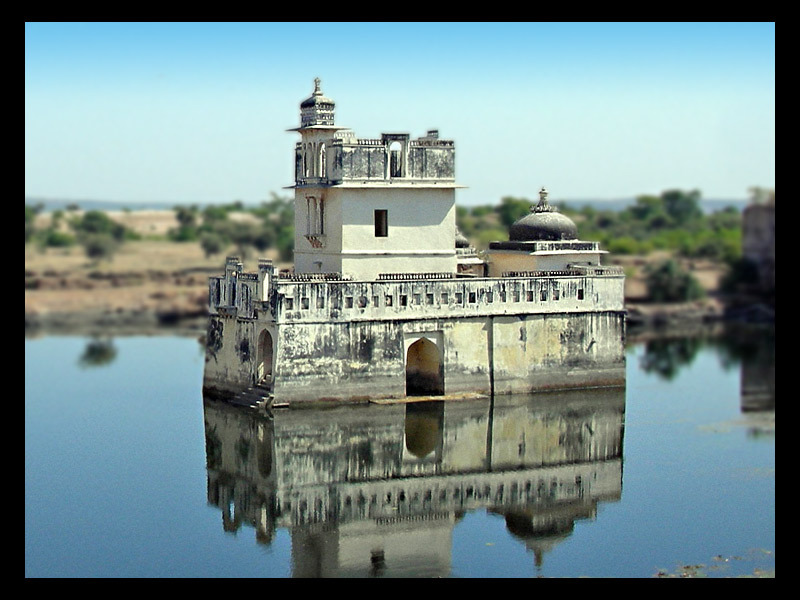 Rajasthan henceforth became, land of Meera and Padmini – land of Devotion and Resolve! I seriously fail to understand, when the original story of Rani Padmini is so virtuous, inspirational and dramatic in itself; why should Bhansali – or anyone – feel the need of mutiliting it. Perhaps in the world full of Ranveers, Deepikas and Bollywood in general, they fail to understand transcendental topics like chastity, integrity, principles and honour. Unless the topic is simplified to the familiar patterns of love-triangles, break-ups, fabricated contraversies and promotions, they cannot get enough grasp of topic to make a movie out of it. To their disappointment, rest of the India is not like this. They still rever and cherish 800 year old symbols of womanhood like Rani Padmini, as they would do for their own mother or sister. People like Bhansali got to understand that in the zeal of exploiting freedom of art, there is a limit how much one can play with people’s emotions before the retaliation starts showing up. In this context – since the whole topic is about Khilji – let me conclude by giving another example of his times, that fits so well to today’s situation. Afterall that’s the purpose of learning History, isn’t it. When the Khilji dynasty occupied North India, in south the Yadava kingdom has reached its’ zenith. There was peace and prosperity… rich contributions were made in Arts, Fine-arts and Literature. But though the North was slowly getting clasped in the claws of invaders, the south was not ready to wake up. The King and his court had started taking more interest in the idealist things like morals, virtues, righteousness. They were too busy to look at mundane matters like administration, intelligence and protection of the kingdom. In a way, this reminds me of the liberal style rhetoric that is going on today, whereas the denial simply obscures them from basic realities, be it in Kashmir or Tamil-Nadu. Condemning the attacks on Bhansali can be the first need of hour, in order to be politically correct. But what about the emotions and concerns of ordinary people? Are they taken for granted, in pursual of (percieved) higher ideals like freedom of Expression, freedom of Art et al? Or condemning fascist tendencies in lit-fests is as good as eradicating the root problem? This happens typically in society, when people get too much high on perceived morals, they fail to appreciate basic realities around them. When the ministers of Ramdevrai Yadav were busy arguing over protocols and manners in court, Khilji’s horsemen had crossed Vindhya and entered deep in Yadav territory without being noticed, let alone opposed. As a result, the 500 years old Yadava Capital was besieged and brought down to its knees in a matter of a couple of weeks. Running further away from reality means reality will hit you even harder! In case of Bhansali, this happened quite literally! 1. Hughes, a dictionary of Islam – Padmini is name of the woman who is most excellent of the four classes in which women are divided.